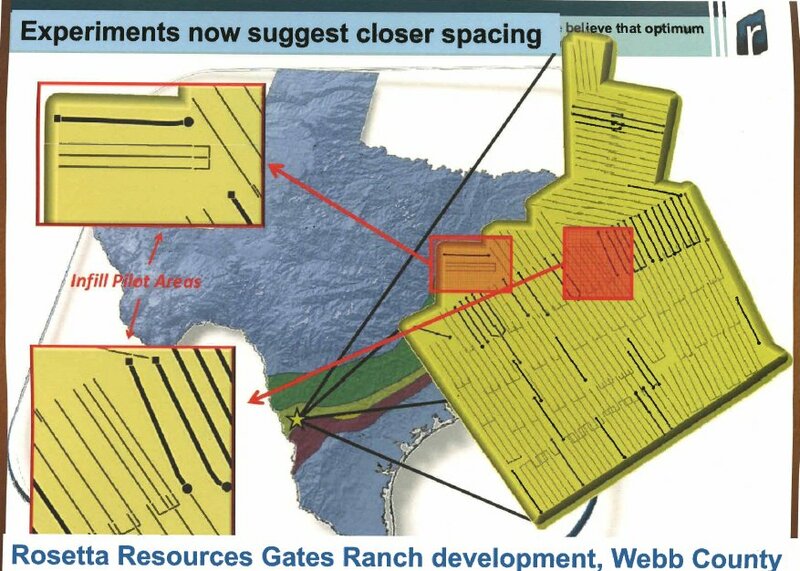 Wells Fargo Bank recently had a presentation about aspects of drilling in the Eagle Ford Shale. Some of its slides are enlightening. These photos illustrate the impact of drilling operations. 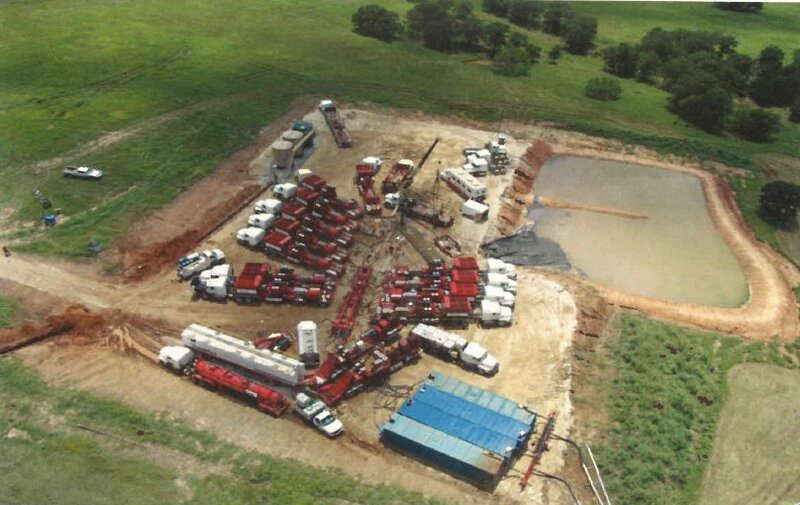 A typical drillsite for these types of wells may be five to ten acres. During fracing, it looks like an industrial site. 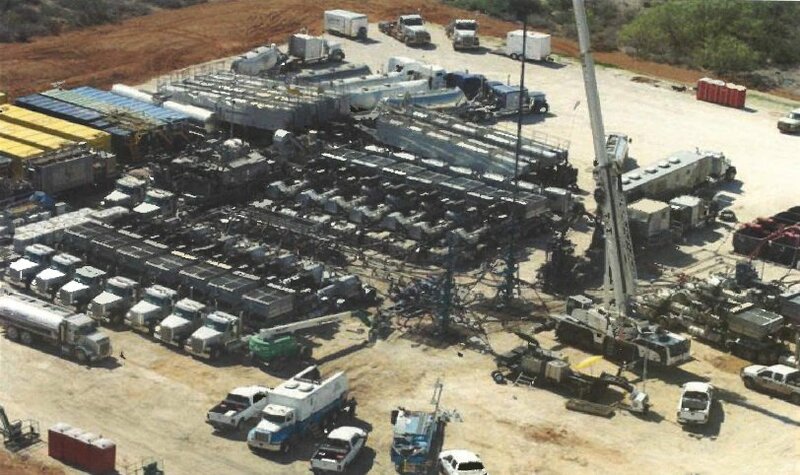 These pads are designed to drill multiple wells from a single site. Rosetta may end up drilling wells on 55-acre spacing – 340 wells altogether. 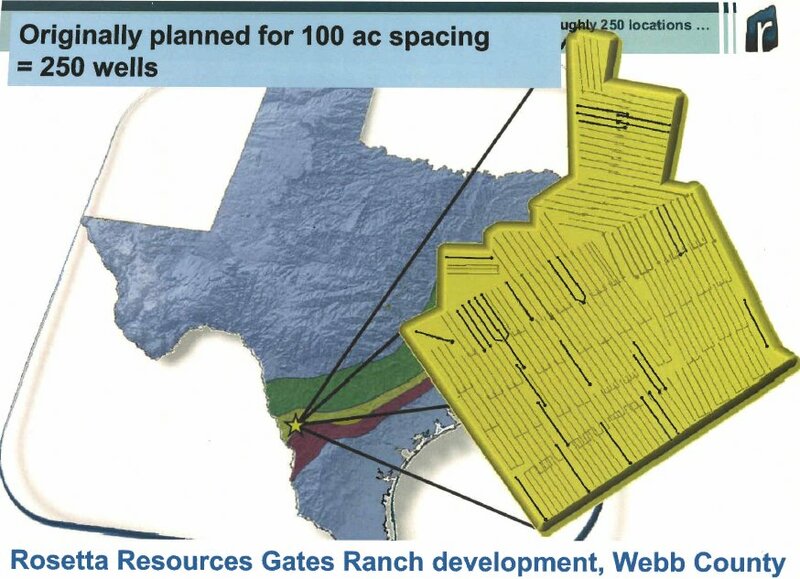 If three wells are drilled from each pad site, that is 113 pad sites. 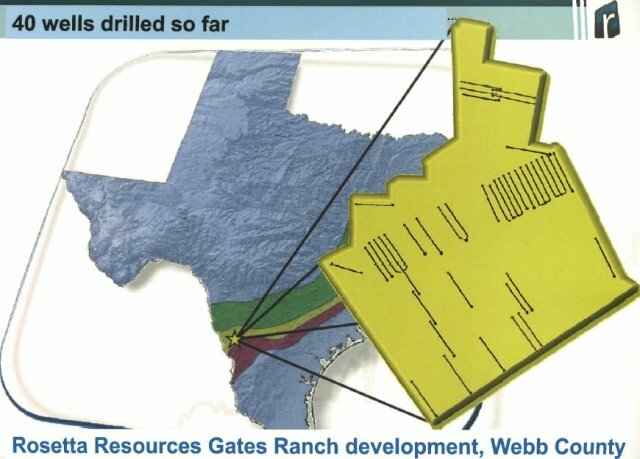 If one of these wells costs $6 million to drill and complete, that would be $2.04 billion to drill all 340 wells, or close to $70 million per 640-acre section, if spaced at 55 acres per well. 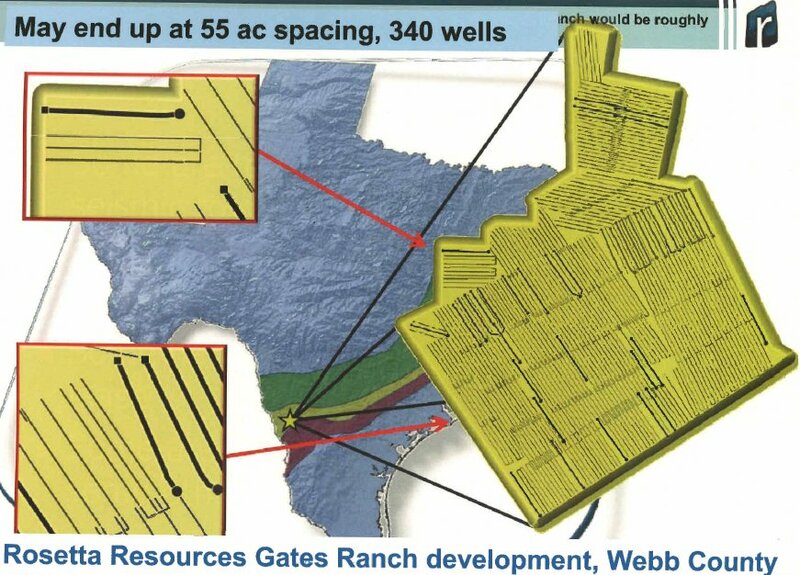 55-acre spacing, for wells with 5,000-foot laterals, requires that the wells would be spaced about 460 feet apart. That means that the wells would drain only 230 feet from the well bore. 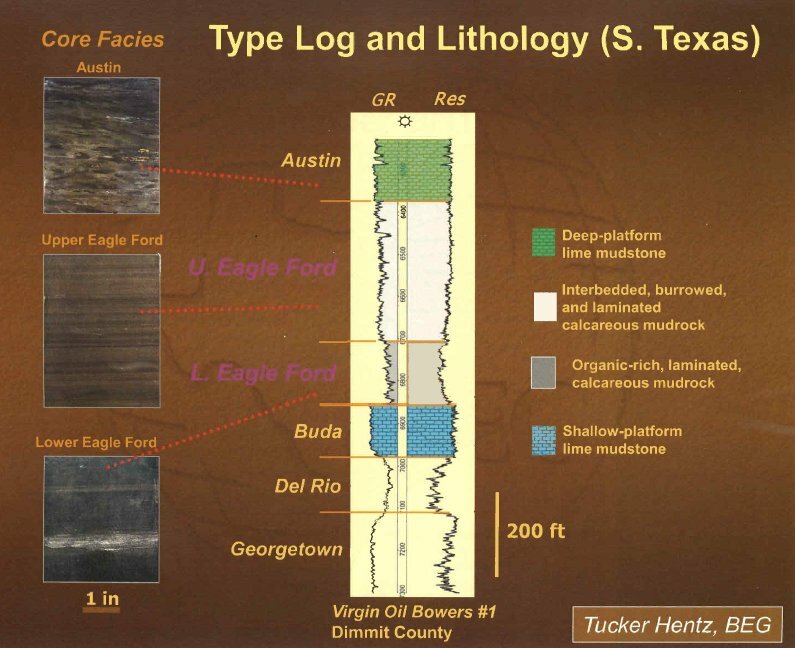 You can see that the Eagle Ford lies between the Austin Chalk and Buda formations, and that it is divided into the Upper Eagle Ford and the Lower Eagle Ford. On this well, the Eagle Ford is about 450 feet thick. 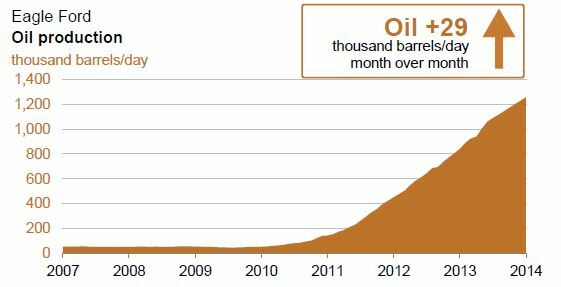 Here is the growth in oil production from the Eagle Ford since 2008. It looks like 2011 production will double 2010’s.